There are over 23,000 cases of fraud involving a chunk of above Rs 1 lakh crore, RBI told in an RTI query. One by one the banks deepest darkest secrets are getting unfold in the form of frauds. The tragedy is such that it has given headache and sleepless nights to both government and the Reserve Bank of India. The regulatories are trying their best to help banks rescue from dilemma of hefty stressed assets either by merging PSBs or taking major defaulters before NCLT for bankruptcy code. But the question still lies to how bank will avoid frauds. The birth of frauds occur when a person uses illegal money or assets from bank or other financial institution. They are termed as fraud because the crime has been kept secret. But what happens when your own bank is not discipline enough and emerges into fraud. This is the scenario of India’s banking system. The day has gone and trusting a banks has become difficult. The quantum of fraud is such that either few management of banks are involved or the crime creator has fooled them. But the real tragedy is to track these fraud creators and make them pay. This calls for why a bank needs to first discipline in the way they are doing business. The latest to hit banking fraud headline would be Gujarat-based Sterling Biotech owner Nitin Sandesara and family. The Sandesaras are wanted by CBI and ED for creating bank fraud up to Rs 5,000 crore. Speculations are there that the family must have fled to Nigeria, and getting them back or to make them repay would be very difficult for Indian governments as Mutual Legal Assistance Treaty with Nigeria. Running and taking shelter in other country is a new fraud trend in frauds created against Indian banks. Sandesaras are not the new ones to do it, there was first Kingfisher barren Vijay Mallya for creating over Rs 9,000 crore debt default. But the top fraud make title would be given to Nirav Modi and Mehul Choksi of nearly Rs 15,000 crore against Punjab National Bank (PNB). These are just three cases, but did you know, that there are over 23,000 cases of fraud involving a chunk of above Rs 1 lakh crore, RBI told in an RTI query. If you see closely, this would account up to 11.47% of gross NPA of entire banking system by end of June 2018 quarter. Cumulatively total 35 banks have gross NPA of Rs 871,603 crore in Q1FY19. RBI’s recent data revealed, number of cases on frauds reported by banks were generally hovering at around 4500 in the last 10 years before their increase to 5835 in 2017-18. Subsequently the amount has seen a significant rise up to Rs 410 billion. In FY18 alone, PSBs accounted for 92.9% of the amount involved in frauds of more than Rs 0.1 million, as reported to the Reserve Bank while the private sector banks accounted for 6%. 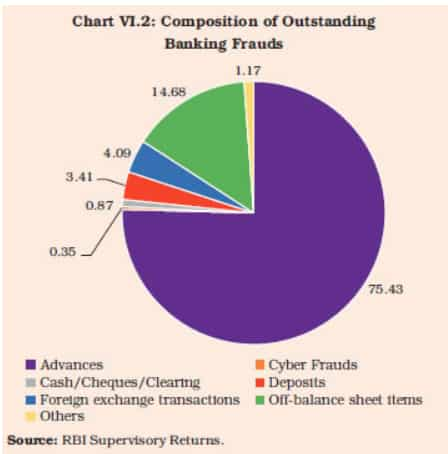 In terms of amount as on March 2018, PSBs held 85% of fraud value, while private ones accounted 10%. At the system level, frauds in loans, by amount, accounted for more than 75% of frauds involving amounts of Rs 0.1 million and above while frauds in deposit accounts were at just over 3%. In the loan category alone, the PSBs held 87% of frauds while private banks about 11%. 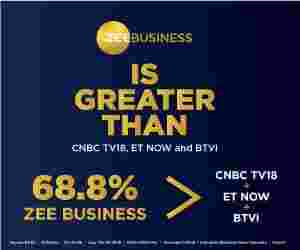 Share of PSBs in frauds relating to ‘off-balance sheet items’ such as Letter of Credit (LCs), LoU, and Letter of Acceptance was even higher at 96%. New private sector banks accounted for more than 20% of the frauds related to ‘cash/cheques/clearing’ and ‘foreign exchange transactions’. New private sector and foreign banks accounted for 36% each of all cyber frauds reported in debit, credit and ATM cards, among others. Out of the seven classifications of frauds in alignment with the Indian Penal Code, ‘cheating and forgery’ was the major component followed by ‘misappropriation and criminal breach of trust’. In ‘cheating and forgery’ cases, the most common modus operandi was multiple mortgage and forged documents. Mumbai (Greater Mumbai), Kolkata and Delhi were the top three cities in reporting of bank frauds through ‘cheating and forgery’. In respect of staff involvement in frauds, banks reported that it was prominent in the categories ‘cash’ and ‘deposits’, which had a much smaller share in the overall number of fraud incidents and the amount involved. From the above it can be seen prevent frauds, prevent stressed assets and divergence in asset quality. In view of large divergences observed in asset classification and provisioning in the credit portfolio of banks as well as the rising incidence of frauds in the Indian banking system, an Expert Committee under the chairmanship of Y.H. Malegam, a former member of the Central Board of the Reserve Bank, had been constituted to look into the reasons. It would not be wrong to say that RBI has done all it can in order to improve the corporate governance under banking system. The latest measures were to improve statutory audit, internal audit, and many more in order to identify frauds accurately. Over the last two decades, the bank frauds have cost heavily to countries either be developed or developing ones. There was U.S. Savings and Loan debacle in the early 1980s, the Latin American banking crisis in the mid 1980s, the Mexican disruption in the 1990s and more recently, the financial stress in East Asian economies and subsequently, in Argentina and Turkey are some of the few examples. Hence, in order to avoid banking crises, authorities need to find ways for promoting prudent behaviour by banks.